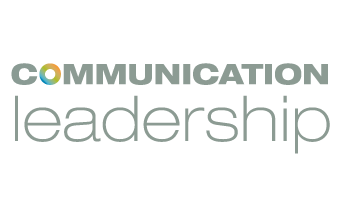 We study the crossroads of media, culture and technology here at Flip the Media, and there is probably no place that all three of those things come together like they do in the comic industry. But how does an industry, rooted in nostalgia and tradition, manage the transition to new media? MCDM faculty member Rob Salkowitz‘s new book Comic Con and the Business of Pop Culture was published just three weeks before the San Diego Comic-Con, the annual industry gathering that draws over 130,000 people. He was there to do promotions and signings, host panels, and help provide insights for news outlets looking for stories bigger than “hey look at the freaks in costume!” As the long standing fans struggle with their fringe subculture blowing up into “peak geek,” as Salkowitz put it, the question of how digital media will influence comics culture looms large. “How did such a simple artform like comics find itself at the center of the 21st century media universe, and what happens next?” is the question Salkowitz asks in his book. He also explains that this year, instead of industry panic over impending digital distribution, everyone – creators, publishers and readers – is looking at ways to evolve the medium in the era of tablets and transmedia convergence. 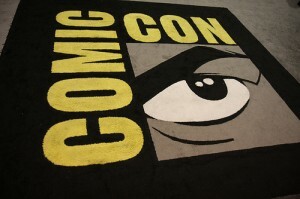 Digital distribution of comics was a big theme at Comic Con this year. With panels like “Digital Comics Price Fight” and “The Future of the Graphic Novel in the iPad Age,” and several panels on Digital Art itself, it is clear that the industry is at a major crossroads. Salkowitz moderated a panel called “Are Digital Comics Expanding the Market?” which drew close to 150 people. Though the biggest panels at Comic-Con can draw close to 6,500, but as Salkowitz observed, “Hey, we’re not Game of Thrones!” Salkowitz also moderated a panel on Comic Entrepreneurs that is well worth a listen for anyone interested in the future of the comics industry. When he sat down to talk to me about Comic Con’s importance to the future of entertainment, he explained that digital distribution was the single largest growth segment in the industry. Salkowitz noted that just a year ago, industry leaders and retailers were afraid digital would kill the brick and mortar “direct market” of comic book stores. Instead, data shows digital is leading to growth across the market, bringing in new readers and keeping old ones engaged. “Digital doesn’t cannibalize the industry; it grows it by encouraging fandom,” said Salkowitz. The comics industry is starting to take note of the excellent work done in the digital domain. The Eisner Awards (comics’ version of the Oscars) introduced the award for best Webcomic in 2005, but as the field continues to grow, many are calling for more digital art categories. Along with the panels and awards there were some important announcements made on the digital frontier. Abrams ComicArts announced a digital graphic novel distribution agreement with comiXology. 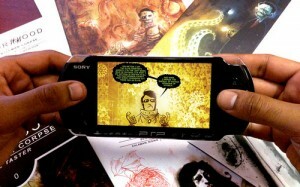 Madefire, a new graphic novel app, made a splash with hot original content by some of the industry’s biggest stars. Really I could go on for quite a while with all the new digital players in the field that came out at Comic Con, but I think the point is that we are looking at a crossroads where we will see the old and the new come together for the digitization of tradition.